Did FBI Surveillance Push Hemingway to Suicide? 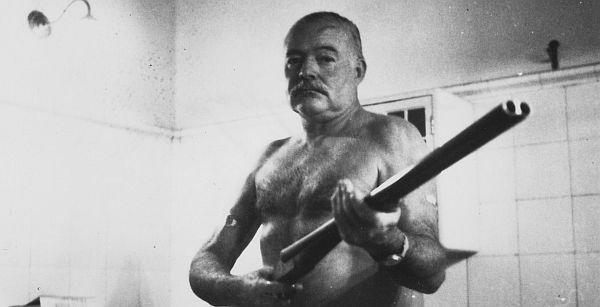 On the morning of July 2, 1961, Ernest Hemingway(1), the famous writer and journalist, took his favorite shot gun from a store room in his home in Ketchum, Idaho took it up to the front entrance foyer, and shot himself. He was just short of his 62nd birthday. However, considering his numerous health problems, Hemingway likely did not have long to live, anyway. Hemingway had a considerable number of health problems, partly brought on by his heavy drinking, and partly due to an inherited genetic trait called hemochromatosis that likely contributed to his mental and physical decline. He had been despondent for the last few years of his life, with worries about taxes and his physical safety. He was also paranoid that the FBI was holding him under surveillance. The belief that he was being followed by government agents caused his wife, Mary, to have him checked into the Mayo Clinic. She told him he was to be treated for his hypertension. Actually, the purpose was to deal with what she thought to be a severe mental illness. Hemingway was subjected to numerous sessions of electroshock therapy and a combination of medications that later analysis suggests made his depression worse. He was released “in ruins” in January 1961 only to be returned in April of that year after a suicide attempt for more electroshock treatments. Hemmingway was released from the Mayo Clinic on June 30, just a few days before he took his own life. Ironically, as a piece in the Guardian in 2003(2) indicates, Hemingway was not being paranoid about being followed by the FBI. A Freedom of Information Act request declassified Hemingway’s FBI file, revealing that he had been under surveillance since World War II, when he used his boat the Pinar to patrol the waters off Cuba. Then FBI Director J. Edgar Hoover was interested in Hemingway’s private anti-fascist spy network called the Crook Factory. 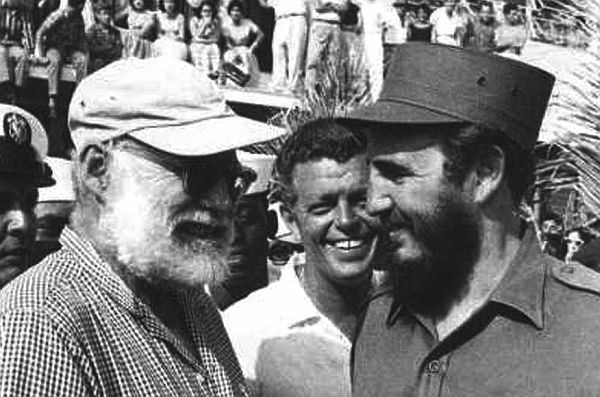 The spy network in Cuba, as the New York Times reported(3), was comprised of a lot of former comrades of Hemingway’s from his days of fighting in and reporting on the Spanish Civil War. The fact that many of them likely had Communist sympathies was likely the main factor that attracted Hoover’s interest. The surveillance persisted throughout Hemingway’s sojourn in Cuba, a country that was a hotbed of Mafia operatives and communist revolutionaries. Ironically, Hemingway built his private spy ring with the encouragement of the then American ambassador to Cuba, Spruille Braden, and was even given a stipend of $1000 a month for payments and supplies. The Crook Factory did not accomplish a lot, but did keep operatives of Franco’s Spain and other Axis sympathizers busy. When the Crook Factory was dissolved in 1943, Hemingway began conducting what he called “submarine hunting” missions on his private boat the Pinar, equipped with machine guns and grenades provided by the United States Navy. The FBI report suggested that these “missions” more resembled drunken fishing voyages conducted by Hemingway and his friends. Was His “Treatment” the Last Straw? Regardless, the bitter irony is that if Hemingway’s wife and his friends had taken his fear of being followed by the FBI more seriously, they might not have enticed him to the Mayo Clinic. He would not have been subjected to electroshock therapy that made his depression worse, and thus he might not have killed himself. So, in a manner of speaking, the FBI surveillance probably did in one of the greatest writers of the 20th century.